Texas' `Lone Star' State building was a huge five-pointed star-shaped edifice, surmounted by a dome of 132 feet from the ground. At the base, where every pair of walls met, was an entrance. 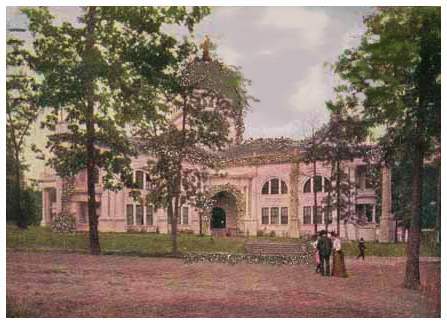 All the rooms on the second floor are finished in native woods and marbles of Texas, while the ground floor included a rotunda, commissioner's rooms, a reading room and a ladies palor. The building measured 234 feet from extreme points of star and 144 feet to top of dome. It cost 45,562 dollars with an additional sum of 12,000 dollars for furnishings. 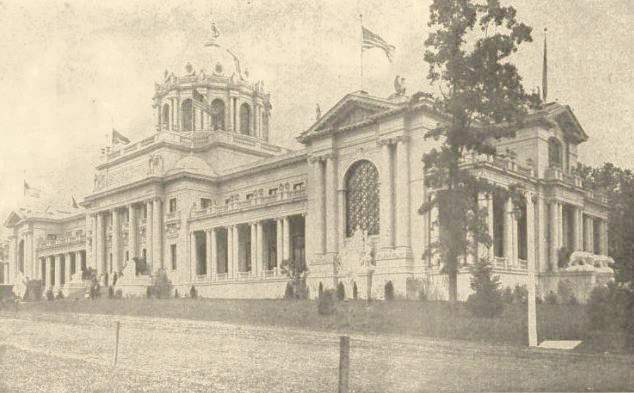 Demonstrations within the facade were the conception and work of the Texas Federation of Women Clubs. With great ceremony this building was dedicated on Wednesday, May 4.